When you hear the term “Family Mediation” you may have some predetermined ideals in mind. For one, you may have gathered information saying that this is a more expensive route. You may have also heard that you may not get what you’ve bargained for in the end, so you as yourself if it’s really worth the investment. You may have heard that communicating with the other party one-on-one is quite stressful and can lead to many more arguments and agreements. However, mediation is none of these things. At least, this is not what mediation is intended for. Mediation, as you may know, is a type of collaborative law. Collaborative law is a very important factor to consider for many families, as it is a way to resolve disputes by removing the matter from the stresses of courtrooms. On many occasions, when court seems to be the last option, it is common for parties to go in “guns blazing” to get what they have come for. However, mediation offers so much more than this; yes, it serves as a way for both parties to troubleshoot all issues and problem-solve in a less aggressive and standoff manner. 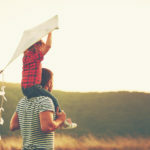 If you are considering solving your family matters, you may have heard of something known as Alternative Dispute Resolution. ADR is the general term for settling disputes without litigation like arbitration, mediation, or negotiation. These procedures are meant to be less costly and bring more satisfying results to split families, especially when children are involved. When you go to court with your former significant other, it is a lawyer-against-lawyer battle in which many want to avoid as easily as possible. However, ADR serves its purpose to allow parties to come up with more creative solutions that a court may not be legally allowed to impose. Courts will sometimes seek whatever is easiest and “standard.” However, giving you the option to put the choices in your hands will usually settle matters more easily and without all the hassle and stress that court brings. The process is generally the same for all clients who want to choose this method to solve their disputes. For instance, you will want to hire your own attorney, just as the other party will as well. You will want to hire an attorney that has your best interests at heart as well as understands the mediation process and how it works, so that they do not go into the process thinking it is exactly like what you see in court. It is not. You will want to meet with your attorney privately to let them know exactly what you are looking for when the mediation is settled. It is good to go into this with a clear mind because you may have to compromise on some things for the sake of the other party. Mediation is meant to be fair in this aspect. You may want to speak in terms of what you are willing to accept and what is your ultimate goal. For example, you may want a certain amount in child support but it may be way out of range for what the other party can afford. If this is an issue, compromise will be key! Should I Be Prepared For Any Documents? Disclosure of Documents: Each party will agree to be open when disclosing documents and information relating to issues. Any errors will be identified and corrected. Respect: Each party has to agree to act respectfully to one another. This means no atrocious acts against one another verbally. Insulating Children: The children are to be kept out of the proceeding matters. This is to minimize the impact of the divorce on them. Sharing Experts: The parties are permitted to bring in outside experts; however, they must share costs. This includes people like real estate appraisers, parenting consultants, or accountants. Win-Win Solutions: The primary goal of the process is to work toward the best solution possible. No Court: Neither party is permitted to threaten court action to resolve the dispute. This means that attorneys must withdraw if court is threatened. You may still have your concerns about mediation and trying to resolve your dispute in such an “alternative” fashion. However, you must also take the numbers into consideration. 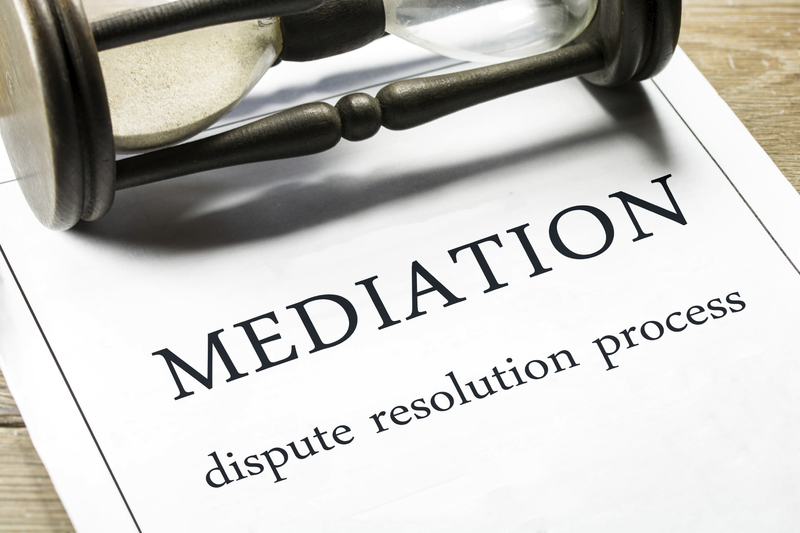 Statistics show that over 80% of all mediations result in some type of settlement. Yes, there will be moments where you may feel like you are losing out a bit but that happens when you must meet in the middle to get the agreement you both rightfully deserve. 80% of these successful mediations involved other prior attempts at settlement, pessimistic parties, and where large amounts of money were invested. Does this seem like something that is worth a shot? Attention is focused onto the children and what is best for them. It minimizes the harmful effects of divorce and separation. Unlike court, mediators will get in-depth with parenting plans and how to resolve important issues. These proceedings may involve the input of children when it is necessary and helpful. Children of parents who mediate tend to adjust better to their parent’s divorce. Mediation establishes a sound foundation for post-separation parenting arrangements. 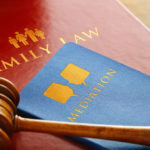 But it is not just the people in the midst of a divorce who appreciate what mediation brings to the table – no, the attorneys especially enjoy the satisfaction it brings families to come to a resolution without involving courts. If you want a trusted attorney who can bring you satisfactory results in your time of need, you should contact The Montes Law Firm today. We can help you through the complex and stressful process or mediation and give you the options you are looking for. Do you feel like taking matters to court wouldn’t be in the best interest of your family? Then mediation may just be your chance to get exactly what you are looking for. Contact us today for more information.